If you’re in the housing market, you may be daunted by the task of finding the perfect house and carrying out all the steps you need to in order to qualify for a mortgage. However, the process doesn’t have to be as hard as you think. There are several things you can do to make your house search quicker and easier. One of the best things you can do is ask your family and friends what realtor they recommend and what bank they used for obtaining their mortgage. If more than one person refers you to the same housing expert, consider investigating further. The Internet has made it easier than ever to search for a house. Real estate agents like Dan Plowman as well as other places, have moved their listings online. From the comfort of your home, you can take virtual tours and get specs on the property as well as determine how much the annual property tax will be. In addition, you can check the crime rate in the area where your potential home is located. You can see with one click if there have been any crimes committed and what type of crimes they were. Finally, you can also see what comparable homes in the area sold for as well as the pricing history of the home you are considering. Before you even begin your home search, think of what qualities you want in your home. How many bedrooms do you need? How many bathrooms would you like? How big do you want the kitchen to be? What architectural style appeals to you? Do you need a large yard? How close do you want the neighbors to be? Knowing these variables beforehand can make the job search easier. If you must have 3 bedrooms, you don’t need to waste your time checking out a 2 bedroom home, for instance. Having said that, make sure you’re also flexible. If you think you must have a home with a large yard but you find your dream home and it only has a medium sized yard, be willing to compromise. You’ll likely never find an absolutely perfect home that has every quality you’d like. There are some qualities that you likely can’t compromise on, but for others, be willing to be flexible. You’ll make the house search go much faster. Searching for a home can be fun and frustrating. However, if you use some of these strategies, hopefully the search will be more fun, and you’ll find your perfect home sooner. After all, that means you’ll sooner be moved in and settled. 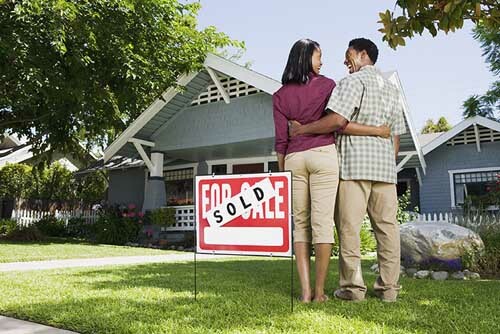 What other advice would you recommend for people embarking on their home search?